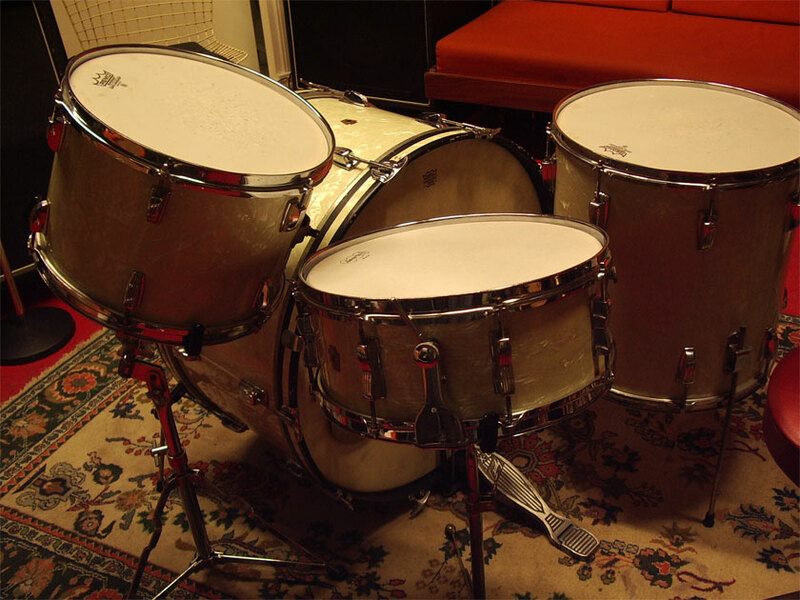 Very nice WFL drumset in white marine pearl and chrome hardware. 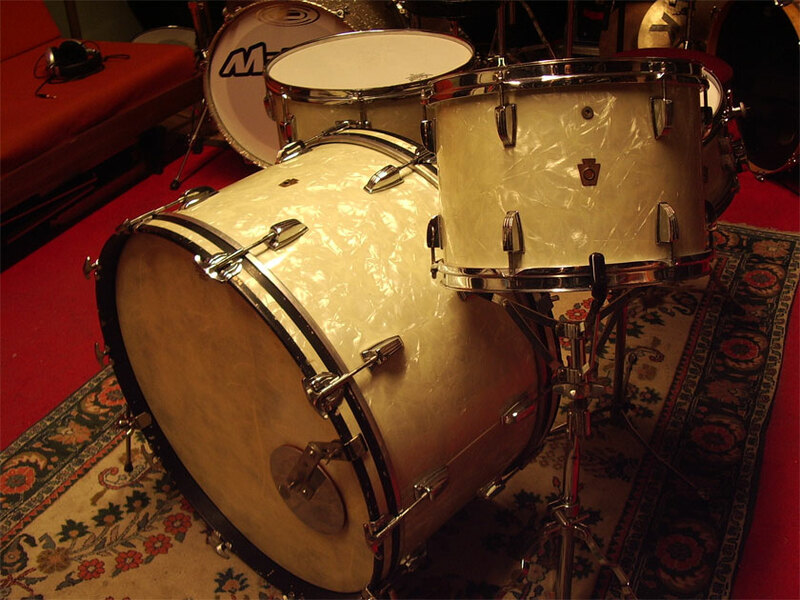 This set has a 14 x 26 bassdrum, 8 x 13 tomtom, 16 x 16 floortom and 5.5 x 14 snaredrum. 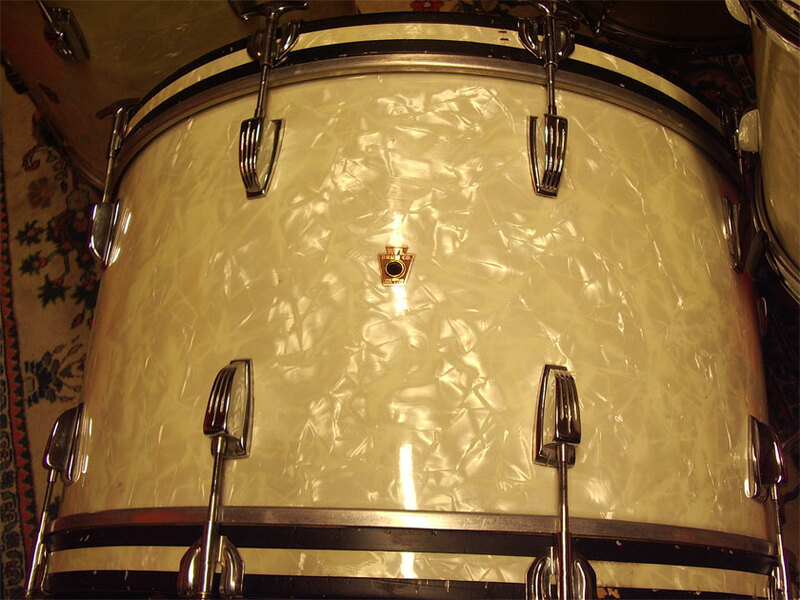 The snare is the Buddy Rich Classic model. 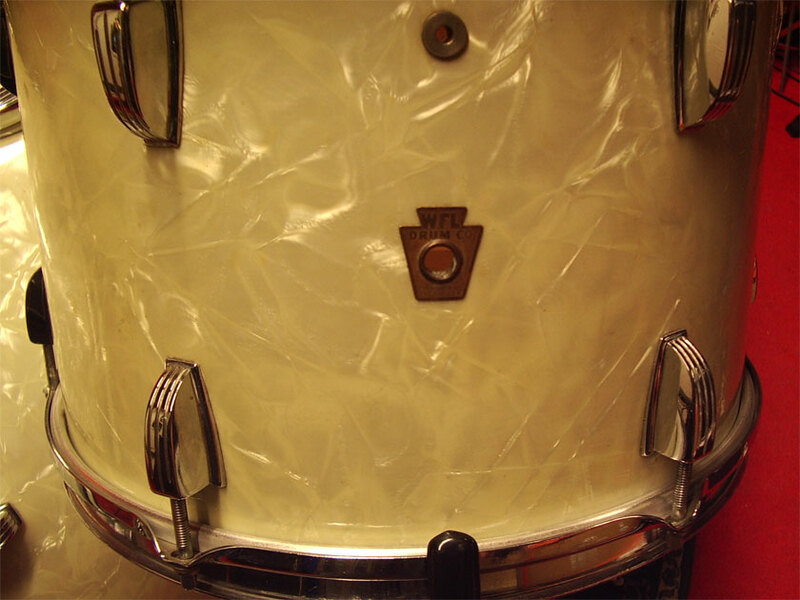 The finish is in very good condition with tight seams and very little yellowing. I'm not sure but I guess the ventholes above the badge of the small tom and the floortom had mufflers at one time. All badges have the WFL 1728 N. DAMEN AVE. CHICAGO address. See the Ludwig Book. 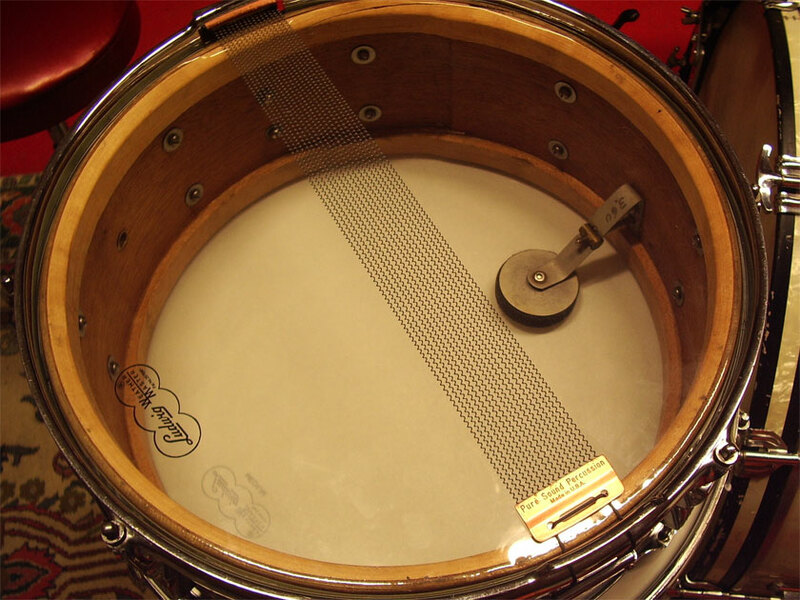 There is one piece missing from the tommount, but a snaredrum stand or rims will hold the small tom even better anyway. The chrome is fine on all parts, the hoops are chrome over brass. 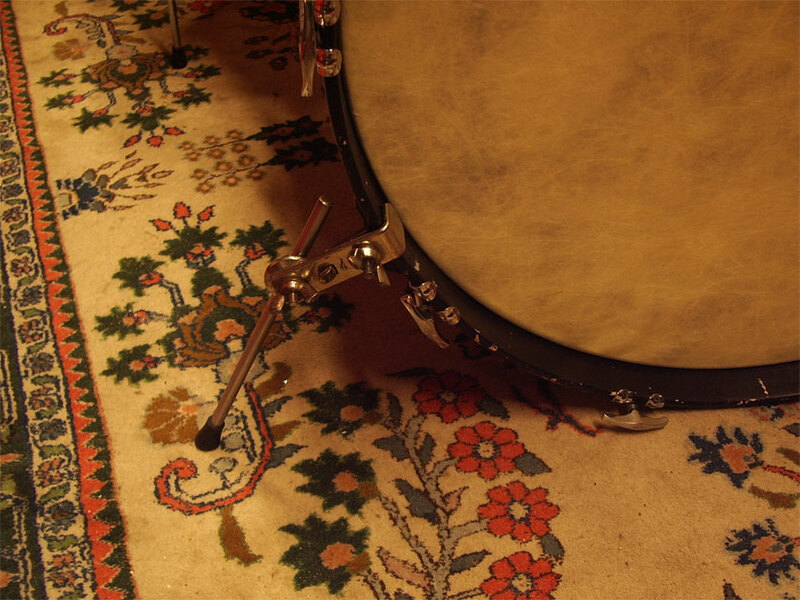 The bassdrumhoops have their complete inlay, but some of the black paint is missing. 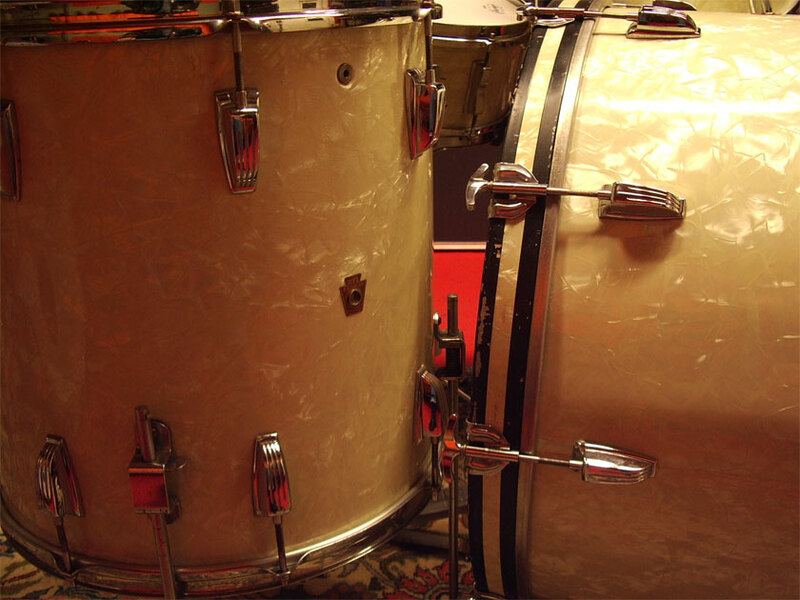 These drums really sing with the coated Ambassador on the toms, Fiberskyn on the bassdrum. 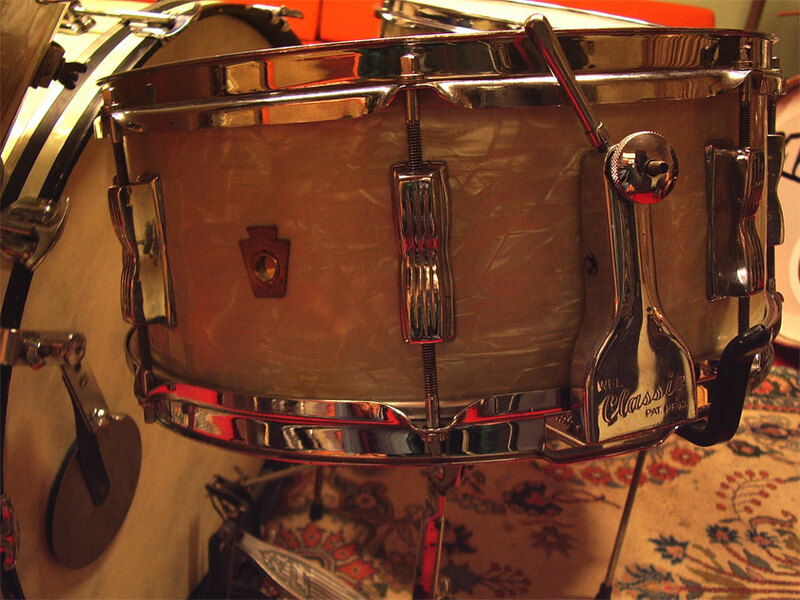 The snare has reproduction snarewires from Puresound and also new Ambassadors. Classic strainer works perfect. 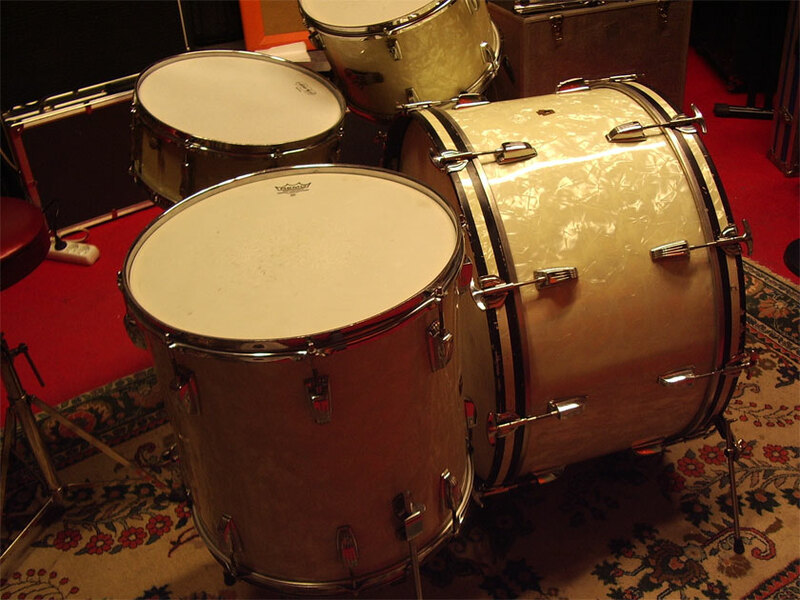 Ludwig WFL drums have always be known for their open sound and this set is tuned up and ready to go. 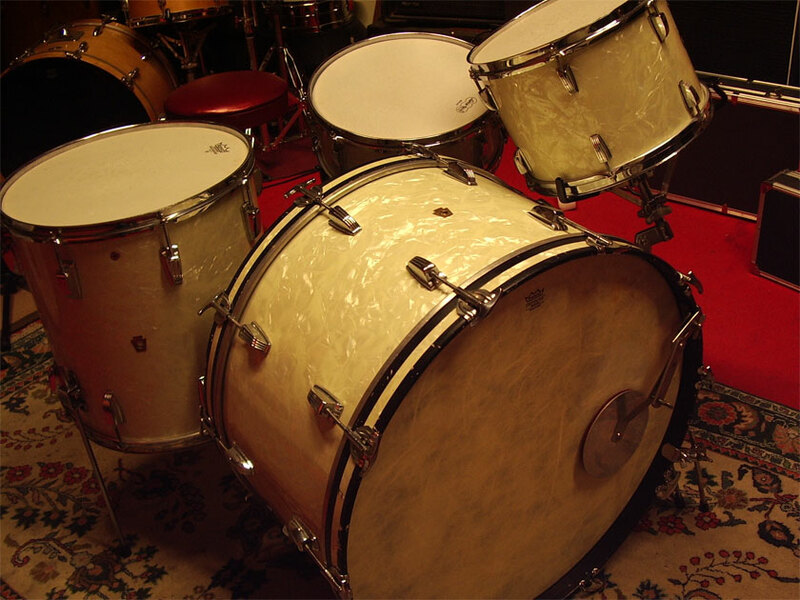 This offer is for the 4 drums. The snaredrum stands are not included.